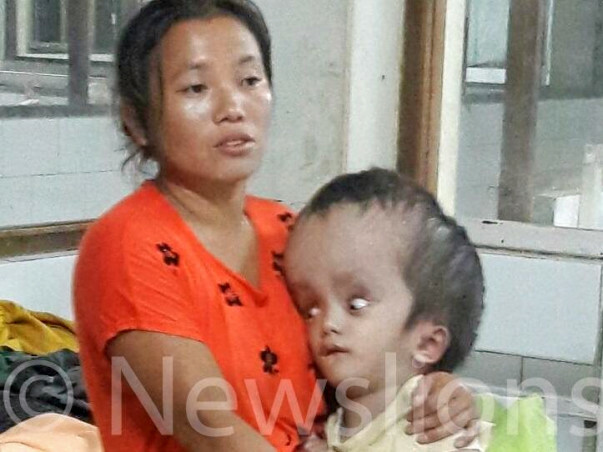 Boisang Haokip from Manipur is a 3-year-old child with a giant head. 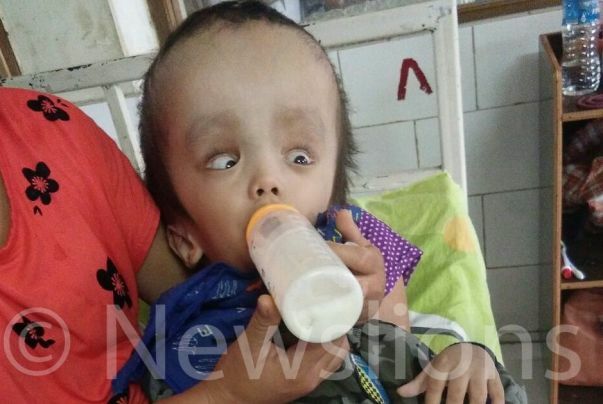 He is suffering from a condition called hydrocephalus- accumulation of cerebrospinal fluid in the brain. This condition has caused his head to grow abnormally big. 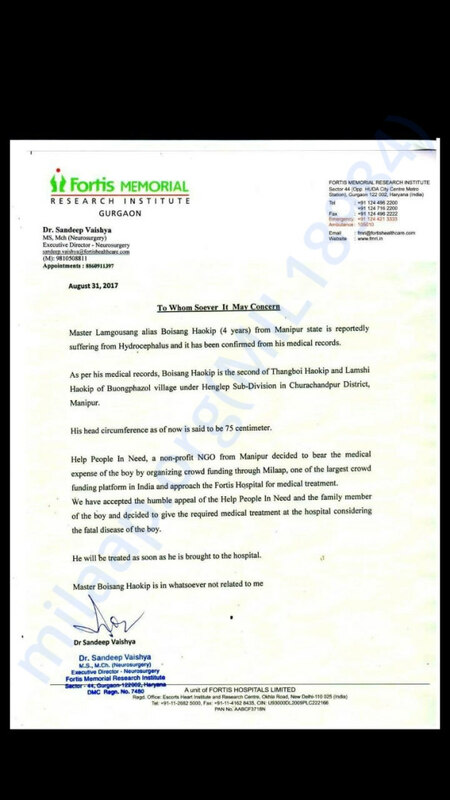 Within few weeks of his birth, Boisang developed fever and cold. He cried a lot and was very weak. Soon his parents noticed that his head looked much bigger. 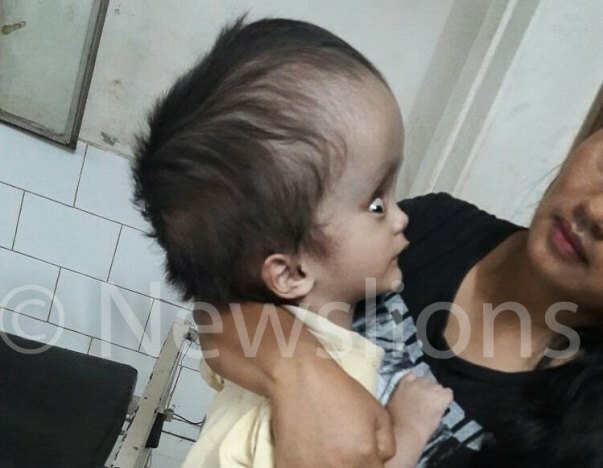 It was initially brushed off as a common sign for babies but a second opinion at a different hospital confirmed it was a case of hydrocephalus. 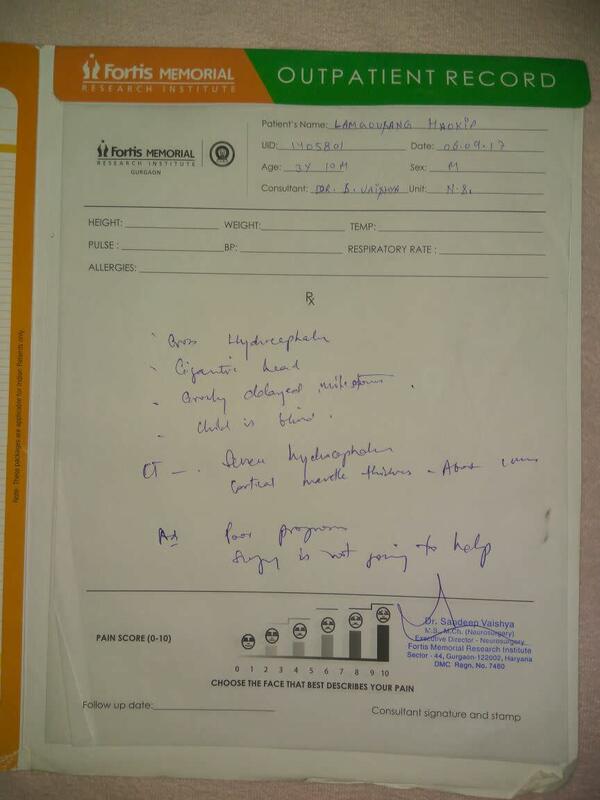 His doctors advised the parents to visit another city for treatment but the parents couldn't afford it. It hurts his parents to watch him every day. His head is so big that it has affected his vision. The family is scared they will lose him but there is nothing they could. They are looking forward to generous help to save their son from this misery. 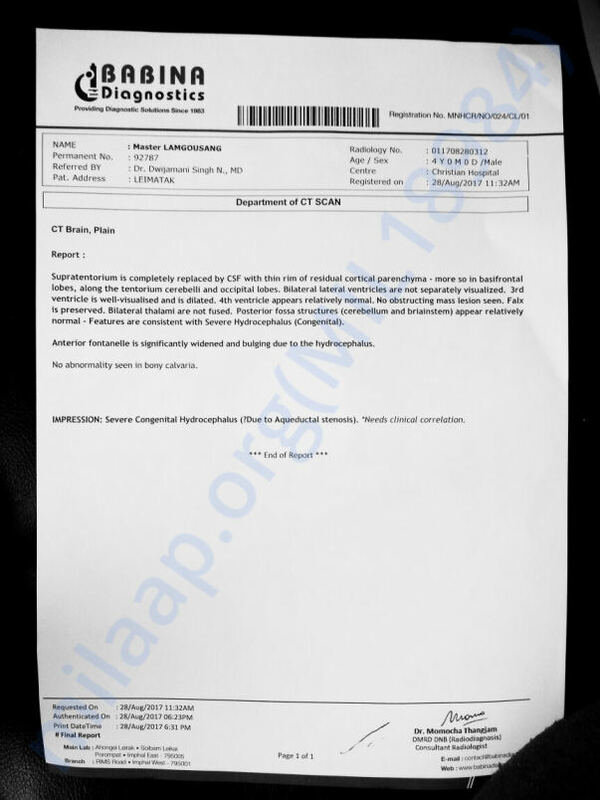 Hence the family decided against the treatment and have traveled back to their village. The funds raised for Mimin have also not been utilised for Boisang. Given that funds have remained unutilized, we'll be refunding all donors as we believe it's the right thing to do. The Milaap team will be initiating the refunds back to your card/bank account on 18th Sep, Monday. In case you want the money to be used towards any campaign on Milaap -https://milaap.org/crowdfunding/fundraisers please inform them before 18th. Please note that refunds take 3-5 working days from the date of refund to reflect in your bank account/card statement. We wish we had a more positive update to share. Thank you for your support, thoughts and prayers for the families.